This recipe contains only four ingredients and man oh man, if you love dark chocolate as much as I do, it will set you on fire. It’s the kind of thing that you’d expect to be served in a restaurant after ordering the A Chocolate Lover’s Dream! A Moist and Rich Dark Chocolate Cake with a Luxuriously Smooth Dark Chocolate Center… or something of the sort ;-) especially if you accompany it with vanilla (protein) ice cream! 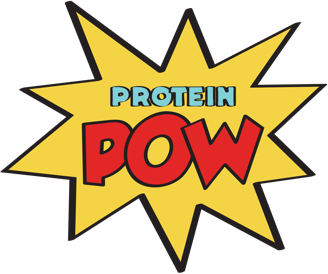 It’s seemingly Indulgent, but, when you look at its ingredients, you realize it’s actually pretty magical, packed as it is with chocolate antioxidants, phytosterols, and protein ka…POW! 2. One thing I want you to take in when you make this recipe is that cooking times matter. If you overcook the batter, you cakes will turn dry and not very nice. If you undercook the batter, inside coffee mugs (heat resistant ones) in the oven for, say, 8-10 minutes at 180 C (356 F), you’ll end up with the world’s most delicious protein hot chocolate! It’ll be thick, creamy, and mmmmmm, absolutely exquisite :-D If you then cook the batter for longer, in little ramekins like I did for example, the batter will start cakeying up. To end up with a cakey puddings with a slightly creamy center, take them out after about 12-15 minutes. To end up with soft chocolate cakes like I did, you want to take them out of the oven after about 15-20 mins or as SOON as your knife comes out clean after stabbing them. Does this make sense? Comment below or here if you want further clarification because, seriously, you’ve GOT to try this!